The New York Times featured Zoe Buckman’s work created for a campaign by For Freedoms. 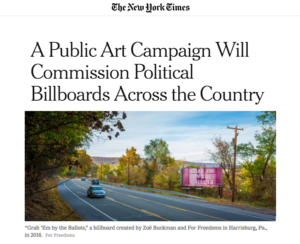 The campaign aims to inspire political participation through art. Learn more about the campaign and read the full article here.